The annual pass to the Biltmore estate gives you free admission to the estate all year, plus discounts on special experiences like behind-the-scenes tours, outdoor adventures, discounted Biltmore concert tickets, along with shopping and dining discounts on the estate. In January - February there are additional Passholder perks like free guest passes and bigger discounts. The annual pass is usually $174, and that is a really good deal if you plan on visiting a few times - but there are ways to save on that as well - through March you can visit http://www.biltmore.com/landing/2016-passholder-friends-family and get a pass for only $109, which is less than two day time visits at the $65 regular price. I have an annual pass that I need to use more often, and this year I’m looking forward to exploring the 22 miles of hiking trail and joining the Vanderbilt wine club! The WNC Nature Center is home to over 60 species of wild and domestic animals, with a focus on educating the public about the nature of Southern Appalachia. Get close to animals including coyotes, bears, foxes, deer, raccoons, snakes, owls and goats, at this 42 acre wildlife park. Individual membership is $34, and family memberships are $69 for 2 adults and up to four children. This includes free daily admission to the nature center (adults visits are regularly $10.95, $7.95 for Buncombe country, children 3 - 15 are $6.95, $5.95 Buncombe County). The annual pass also gives you discounts to other events at the Nature Center like summer camps, as well as reciprical zoos, aquariums and science centers (like AMOS) nationwide. 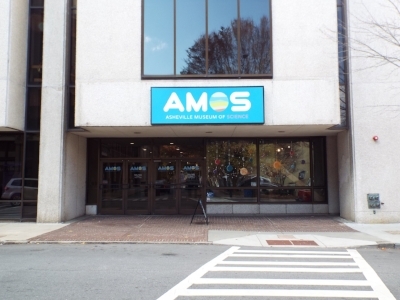 The Asheville Museum of Science has recently relocated and redesigned itself at 43 Patton Avenue. Explore the Southern Appalachian Forest, check out glimmering gems in the Colburn Hall of Minerals, and dig the dino’s at the Paleontology Exhibit. Year long membership is $25 a person and includes free admission, a 10% discount at gift shop (which is a cool little gift shop), and also reciprocal discounts including a 50% discount at the WNC Nature Center. The Asheville Art museum has multiple levels of membership, the basic individual starting at $55, with discounts for students, educators, artists, over 65. Family membership for $75 includes two adults and children under 18. The museum is under MAJOR renovation right now at it’s 2 Pack Square location, and during the transition the museum is offering special Make it New memberships which lock in current rates and gives patrons tickets to the soft opening of the new museum, plus other discounts and perks. 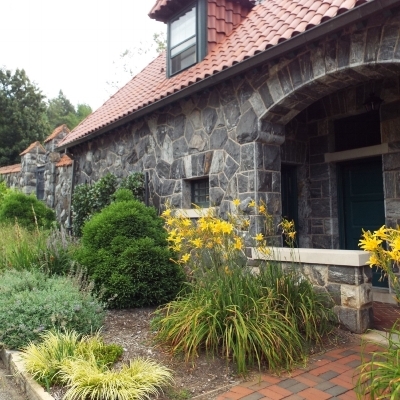 Yearly membership to the NC Arboretum gives you free parking privileges, discounts at the gift shop and cafe, and reciprocal privileges at the N.C. Zoo and nearly 300 other gardens, like the South Carolina Botanical Garden in Clemson, SC. Memberships start at $50 for individual or $70 for a household, and discounted memberships are offered for students. Other fun ideas to keep you busy all year long? What about the All-Sports Pass from UNC Asheville? $300 for reserved seating, and just $175 for general admission - it includes Men’s and Women’s Basketball, along with baseball, volleyball and soccer! Starting on April 12th 2018 the Asheville Tourists, Asheville's minor league baseball team, will host 70 regular season games, with special events like Thirsty Thursdays and Firework Fridays. Full Season tickets starting at $325, half season at $219, with special discounts on merchandise, and a ‘never-waste-a-ticket- program. You can buy bundles of tickets to Diana Wortham Theatre - receiving a discount of 10%-20% depending on the amount of tickets you buy. Performances range from theatre to ballet to jazz and bluegrass.